If you think that Siri Remote for the new generation of Apple TV is limited to only those that are marked with icons on the buttons, you are wrong. Some buttons of this innovative remote control contain a number of secrets that we want to tell in this material. Let’s start with the basics. Yes, we know that the translation of the set-top box into sleep mode, either automatically or by means of special menu item. However, there is a much more convenient way to quickly send your Apple TV into sleep mode. This requires for a time hold down the Home button, marked with the image of the TV. Reboot a set-top box can also be done through the menu, but it had a certain combination of hot keys on the remote. 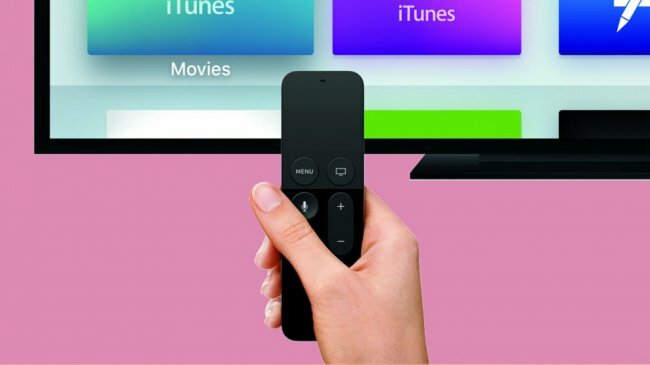 To restart your Apple TV, simply press and hold top two buttons Siri Remote — “Menu” and “Home”. App to Apple TV new generation, which can be unload from memory, and the same way as it is done in iOS. Double-click on the Home button and get into the multitasking menu, where with a gesture “up” pulls out the unwanted apps. Finally, if your Siri Remote behaves strangely and doesn’t always obey commands, it must be reset. To do this, you simply need to simultaneously hold down the “Menu” button and the volume up button. The connection with the remote for a while will disappear, but come back very soon. After that problems in the work of Siri Remote should subside. Previous story Which processor will be installed in the iPhone 6c?